Please note: “La Traviata Brindisi-Allegretto (no Vocals)," which is used in Comedy of Tenors, is orginally found in Karaoke Opera, Vol. 9: Puccini & Verdi for Tenor. This song file is made available by Musical Concepts. Paris 1936. A suite in the Faubourg Ritz Hotel. 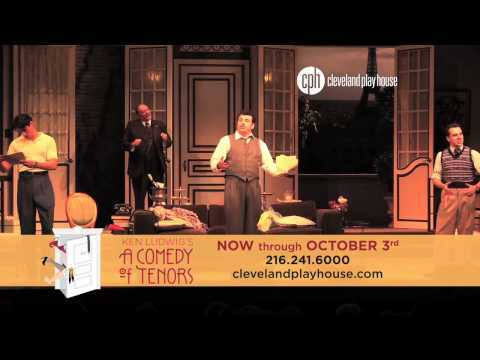 A Comedy of Tenors premiered in a co-production at the Cleveland Playhouse in Cleveland, OH in September 2015 and the McCarter Theatre in Princeton, NJ in October 2015 under the direction of Stephen Wadsworth.